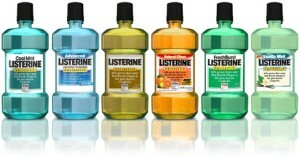 Mouth rinse or mouth wash is a common product use for oral hygiene. Mouth rinses or mouth wash are used for variety of reasons such as to help prevent tooth decay, reduce plaque, reduce gingivitis, and more importantly freshens breath. There are also mouth wash or rinses that are used for cosmetic reasons such as whitening teeth. Most mouthwashes are available without prescription, and your dentist can recommend what type of mouth wash or rinse works best for you. Mouth rinses or mouth washes are made of basic ingredients such as water, alcohol, cleansing agents, flavoring and coloring agents, the active ingredients will depend on the type of mouth rinse. Some mouth rinses also come with fluoride to make the tooth more resistant to decay. There are also some mouth rinses that contain no alcohol and are made for adult and children. The antimicrobial part in the mouth rinse help reduce plaque and severity of gingivitis. There are two types of mouth rinses, there is cosmetic and therapeutic. The cosmetic mouth rinses temporarily control or minimizes bad breath but doesn’t deal with the causes of bad breath. Cosmetic mouth rinses do not help reduce plaque, gingivitis, or caries. Therapeutic mouth rinses help reduce plaque, gingivitis, cavities and bad breath. Some therapeutic mouth rinses help fight plaque that is present in the mouth, if plaque is left in the mouth it can cause periodontal problems and other oral problems. This entry was posted in dentist, santa ana, smiles on bristol and tagged Mouth rinse on November 8, 2016 by Francisco Torres. Extrusion is the displacement of a tooth out of its socket. An injury to the tooth can cause partial or total separation of the tooth from the ligaments. This can cause the tooth to become loose or in worse can scenario lose the tooth completely. In a visual examination when there is extrusion in a tooth, it will appear as if the tooth is elongated and loose. In a radiograph extrusion will show and increased periodontal space between tooth and socket. The treatment for extrusion will depend on if its primary or permanent dentition. For primary dentition if it’s a minor extrusion under 3 mm the tooth can be reposition or it can be left in the same place of the extrusion. 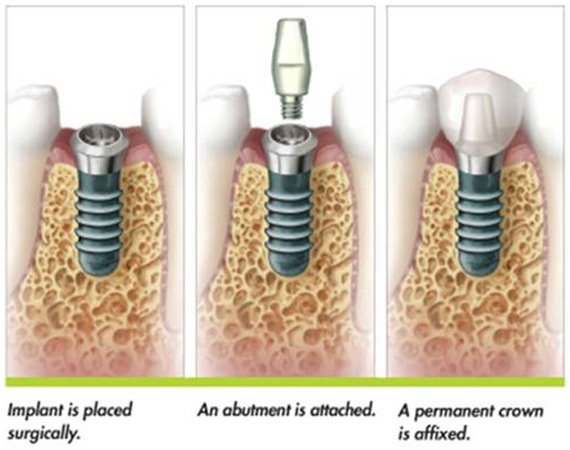 If the extrusion is severe or patient is uncooperative extraction should be considered. If your child just had an injury you can place a wet cloth over the mouth, and take your child to the dentist. If your child is having discomfort ,you can provide relief by giving children’s pain medication. Treatment for extrusion on permanent teeth differ from primary teeth. If the extrusion accident is recent is very important to see your dentist as soon as possible. The tooth should be repositioned using slow finger pressure. Your dentist will then use a flexible splint to hold the tooth in position. The splint will be left in place for about 2 weeks. The patients have to follow post op instructions after placement of splint. it is recommended to eat soft foods for 1 week, trying not to apply to much pressure on the tooth that is injured. The healing will also depend on how well the patient takes care of the site. Brushing and flossing gently and using an antibiotic rinse to prevent plaque and debris will increase the chance of the tooth staying in place. This entry was posted in dentist, santa ana, smiles on bristol and tagged Extrusion on October 10, 2016 by Francisco Torres. 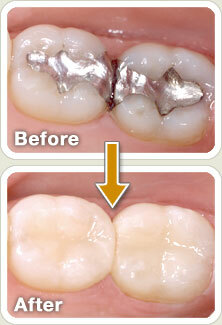 Inlay/Onlay are restorations that are placed to replace missing tooth structure. Inlays and onlays are more conservative that full coverage dental crowns. They only replace the missing tooth structure that has been cause from decay, fractured tooth, or other damages to the tooth. Dental inlays and onlays are recommended when a patient has large decay on the tooth structure and cannot be treated successfully with a dental filling, but haven enough healthy tooth structure to avoid a dental crown. This treatment allows the dentist to conserve more of the patient’s tooth structure. The benefits in having an inlay/ onlay rather than a dental filling are that they are made with very durable solid materials such as porcelain or gold, these materials can last up to thirty years in the mouth if taken care of properly. Inlays/ onlays help strengthen teeth, they also prolong tooth life and prevent any future dental treatment if inlay/onlay is finish correctly. The lifespan of a regular dental filling can be from eight to ten years, and the material is not as strong as the inlay/onlay material. Dental fillings such as composite or amalgam shrink a few percent in volume during hardening, inlays/ onlays exclude this problem. The difference between an inlay/onlay will be on the surface of the missing tooth structure. The inlay is similar to a dental filling it fits inside the top edges of the tooth. The onlay is recommended when a top edge of the tooth is missing. Onlay is similar to replacing the wall of the tooth. The treatment is similar to a dental crown preparation but instead of preparing the whole tooth they prepare the area where the inlay/ onlay will be placed. An impression is taken and sent to the dental laboratory for fabrication, the inlay/ onlay will be cemented on a following visit. The inlay/onlay blends will have a natural appearance. This entry was posted in dentist, santa ana, smiles on bristol, Uncategorized and tagged Inlays/Onlay on September 27, 2016 by Francisco Torres. This entry was posted in dentist, santa ana, smiles on bristol and tagged Pericoronitis, santa ana dentist on September 15, 2016 by Francisco Torres. 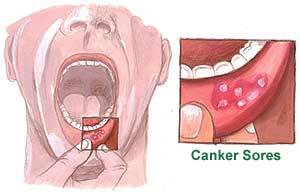 Canker sores or also known as aphthous ulcers are small ulcers that appear in the oral cavity. Canker sores are usually around 1 cm and appear in oval or round shape with a red border around them. These ulcers usually develop on the soft tissues of the mouth or at the base of your gums. The place where the sores appear sometimes makes it difficult for the patient to eat and talk normally. The exact cause of canker sores is unknown. It is thought that simple canker sores may be related to stress. Citrus or acidic fruits and vegetables can also trigger a canker sore or make the canker sore worse. Minor injuries to the mouth may also cause canker sore, some examples are sharp tooth or a sharp or broken dental appliance. Some common symptoms of a canker sore are tingling or burning sensation on the place where the canker sore is located. Pain or discomfort on the site of where the canker sore is located, it can be in the soft palate, inside the cheeks, or the roof of the mouth. In some cases, fever or swollen lymph nodes may be present. Canker sores usually heal within a few days, and the sores starts to disappear in a week or two. Keeping the area clean and brushing and flossing to keep the area from plaque or bacteria. If there is discomfort or pain from the sores you can decrease the pain or discomfort by gargle mouthwash or salt water. If you visit your dentist, he can prescribe you antimicrobial mouth rinse or an antibiotic. Canker sores and cold sores are not the same. Cold sores also known as fever blisters are groups of fluid filled blisters that cause pain. Some differences are that cold sores are contagious and canker sores aren’t. Cold sores are caused by virus and the known cause for canker sores are unknown. Cold sores usually appear outside the mouth, around the lips, nose or chin, while the canker sores occur inside the mouth. This entry was posted in dentist, santa ana, smiles on bristol and tagged Canker Sores on August 20, 2016 by Francisco Torres. Dental emergencies can be very frightening and painful. Patients are sometimes unaware of what to do when they are involved with a dental emergency. The best advice is to go to your dental office as soon as the dental emergency occurs. If you can’t make it to your office go to the nearest emergency room. Your dental office will usually have an emergency contact phone number to reach your dentist, if the dentist is not available. The dentist can guide you on what steps to take for your dental emergency. The most common type of dental emergency for when patients seek dental care is an abscessed tooth. The symptoms include pain on the tooth where the abscess formed, swelling, and response to heat or cold. 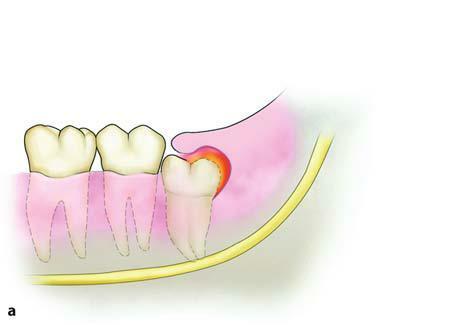 This a sign that the tooth is infected and the abscess grow because the fluid has no way of releasing from the bone. If the tooth goes untreated it may cause severe pain, especially at night time when the patient is resting. Your dentist will treat abscess with antibiotic and dental treatment. 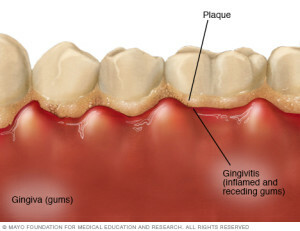 The dental treatment will depend on the infection and how bad the tooth is affected. Another type of dental emergency is Alveolitis. This is more known as dry socket, a dry socket can occur after a dental extraction. This happens when a blood clot does not form or is washed away out of the socket exposing the nerve endings. This exposure causes great discomfort and increases the chance of infections. The way this is treated is by carefully rinsing the area and then placing a special dry socket paste. This material can be placed for one or two days until the discomfort starts diminishing. The patient might need to take pain medication along with the dry socket paste treatment to control discomfort. Broken tooth is also a common dental emergency. The anterior (front) teeth are most common to become fractured or broken. The anterior teeth are more exposed, to the rest of the teeth. The fracture or broken teeth usually happen on young children when they are playing and fall or adults involved in an accident. Another common way for teeth to break is from dental caries, the tooth becomes weak and when the patients bites down on something hard the tooth breaks. This can be treated with dental treatment, and the treatment depends on how bad the fracture is and how it’s affecting the patient. Broken Prosthesis can also be a dental emergency. This is normally not a physical pain but more concern with esthetics or loss of function. The broken prosthesis can usually be fixed in office, but for major repairs will need to be sent out to a dental lab for best results. This entry was posted in dentist, santa ana, smiles on bristol and tagged Dental Emergencies, dentist in santa ana, santa ana dentist on August 12, 2016 by Francisco Torres.